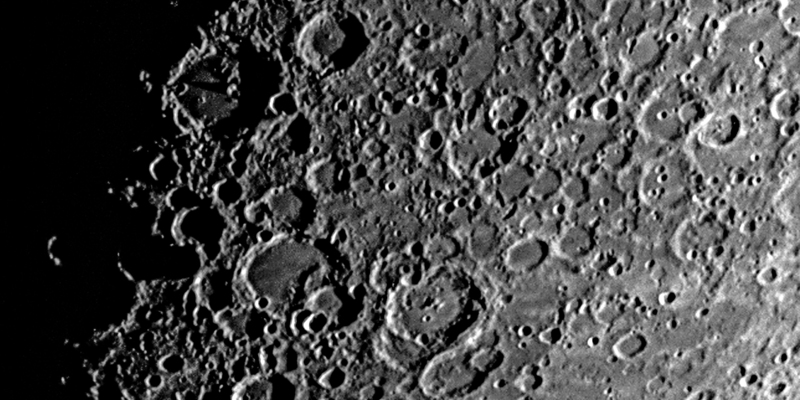 Imaged using a TV76 with a 0.8 Focal Reducer and a 1600x1200 Imaging Source Camera. Perfect conditions in Susanville. This was my first Annular Eclipse. Imaged from the Cruise Ship Costa Classica just Southeast of Iwo Jima. Excursion included tours of Asia. 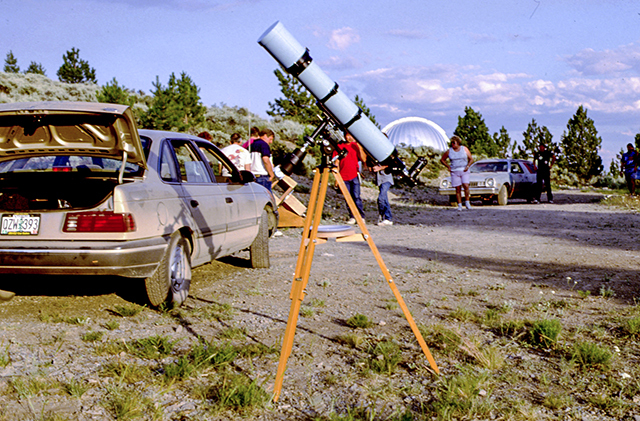 a 14mm Radian eyepiece mounted in a TeleVue 85mm Telescope using a "White Solar Light Filter." Note the sunspot in the upper right. Excursion included Tours of Greece. Excursion included the Eclipse, Southern Sky & an tour of Africa. Imaged hand holding a Digital Camera over a 70mm Pronto. Photographed using a Pentax 6x7 camera & 400mm f/4 Telephoto Lens at 1/1000th of a second. Images were taken at the "Astoria Column" parking lot. Lake Hazar, Turkey-Plus Tour of Istanbul Turkey. Excursion included Tours of the Caribbean. Using a Brandon 130mm f/8 Refractor-Imaging at prime focus. Taken using 130mm Brandon Refractor at Prime Focus. Unitron Mount scene in image. Various Solar images. All were shot through the TV76 with an H-Alpha Filter at various magnifications. Images taken through a TeleVue 76 with a Coronado H-Alpha Filter, using a Sony Mavica MVC-CD400. The camera was hand held over a 32mm Plossl Eyepiece. Live Moon image projected onto the wall of a neighbor's house for neighbors to observe. A bonus image was Jupiter with 3 of the 4 Galliain Moons visitble. combination. Telescope is a Takahashi 60mm using a Skris Camera. Comet Ikeya-Zhang imaged on April 20th, 2002. Taken near Sisters Oregon by Lynn Carroll & Greg Babcock. Imaged through a 76mm f/6.3 TeleVue Refractor Telescope mounted on Lynn's 14 inch Celestron. Film was 400 ISO T-Max pushed to 1600 ISO. Exposure 15 minutes. These are the best images of many acquired. Equipment used: Pentax 200mm F/2.5, Pentax 50mm F/1.4 and a Vernonscope 130mm F/8 Telescope. IImaged using a 35mm Pentax Camera. Left: using a 200mm f/2.5 at 10 minutes using Kodak Ektachrome 200 ISO film pushed to 400. Right: using Camera with a 28mm f/2.8 at 10 minutes using Kodak Ecktachrome 200 ISO film pushed to 400. Imaged by Charles Coffey, I (Greg Babcock) was the timer, Taken near the KVAL TV Station, Eugene, Oregon. 5 minute exposure-400 iso Tri-X film. 200mm f/4 Lens mounted on a Classic orange tube, 8 inch Celestron. view from the flight back home after a Southern Sky Tour. Used 10 inch Travel Scope for observing. Imaged using a Pentax 6x7 camera with a 45mm f/4 wide angle Lens. Taken at the Table Mountain Star Party using a Pentax 6x7 camera with a 45mm f/4 wide angle Lens. Taken during the Table Mountain Star Party. Taken with a 28mm f/2.8 Wide Angle Lens. Dust in the air from Mt. St. Helens eruptions gave the sunsets "lavender" colors. Using 94mm f/6.8 Brandon Telescope at Prime Focus.